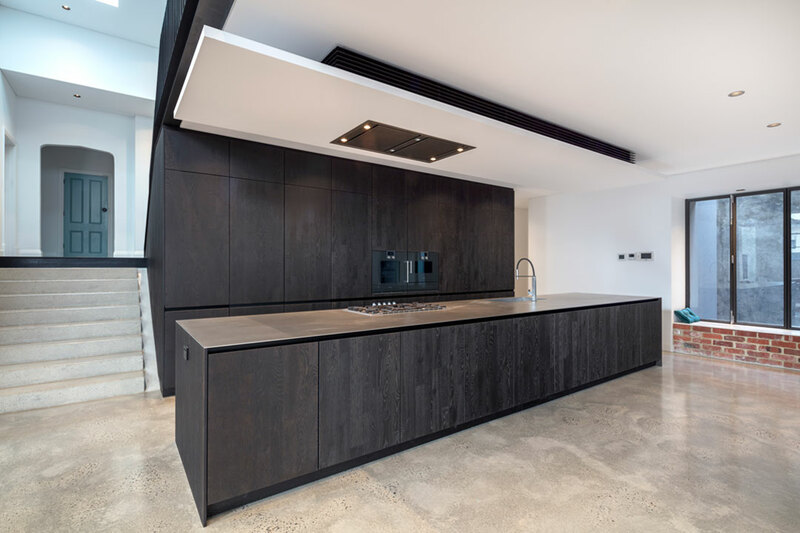 As part of a major renovation of a 1930s bungalow, InDesign WA created a centralised kitchen and spacious en suites, as well as a new laundry, office, and dressing rooms that perfectly met the homeowners’ unique brief. Showcasing an industrial aesthetic, all areas of the home feature cabinetry with earth-toned timber finishes and striking grain structures. Designed to blend seamlessly with every section of the home, the open-plan kitchen showcases a large island bench with a custom-made stainless steel top. The island is fitted with a high-quality cooktop, a double sink and multiple drawers, which provide a streamlined cooking process. 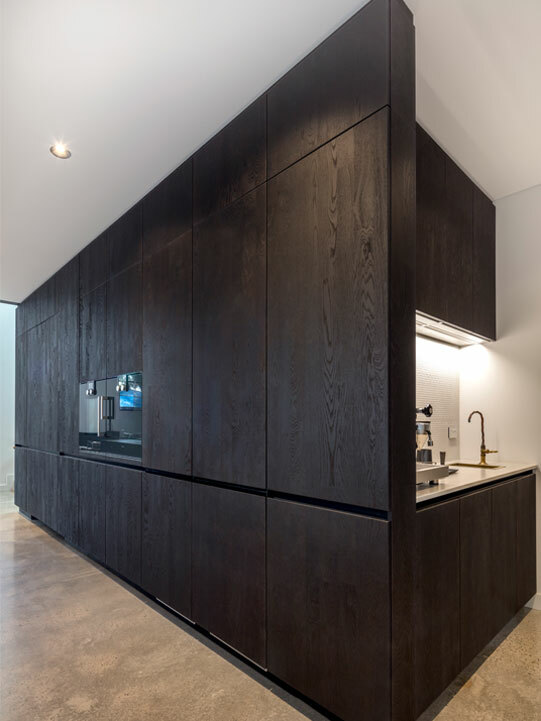 Featuring two integrated ovens and a hidden coffee nook, the kitchen’s sleek cabinetry is finished with antique black oak veneer that adds depth and texture to the minimalist space. To provide visual cohesion throughout the home, oak was also selected for the en suite’s floating vanity unit. Here, the intriguing light tones within the textured cross-cut veneer are further enhanced by the splashback’s beautiful gold geometric tiles. 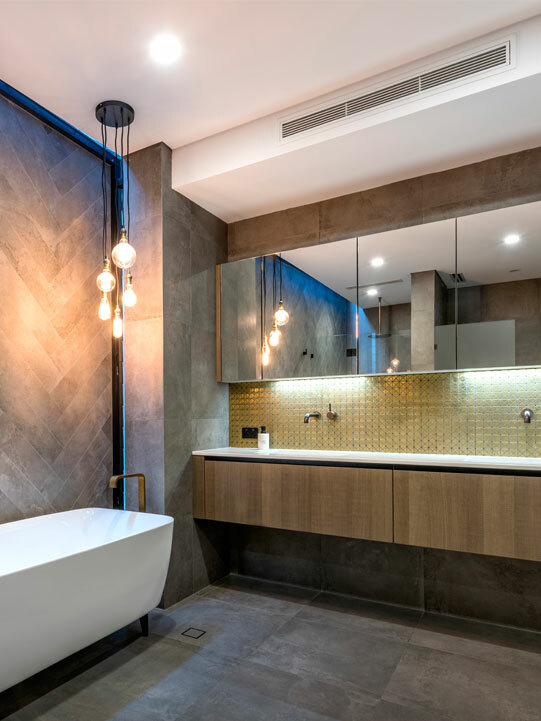 Specialising in bespoke kitchens, bathrooms and all aspects of residential joinery, InDesign WA works closely with its clients to develop a personal and inspiring result every time. Operated by two dedicated partners, the company thrives on their decades of experience as interior designers. From the initial concept and selection of materials, through to the manufacture and installation of the finished product, InDesign WA goes the extra mile to ensure its clients are satisfied with the end result. 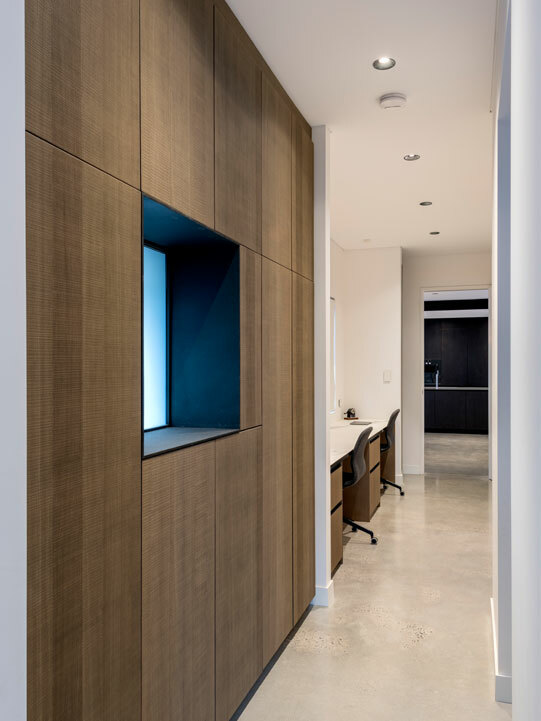 For clients undertaking a residential renovation, the company can also provide project-management solutions, including various turnkey options. As an exclusive importer of premium European kitchens and furniture in Western Australia, InDesign WA provides an incomparable service. With its latest range on display at its Subiaco showroom, the company has all the inspiration and high-quality products you’ll need to make your dream interior come to life.